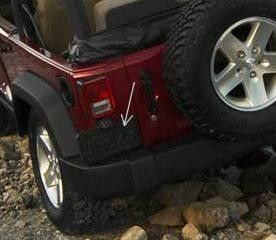 Jeep JK license plate holders include all of the hardware needed to complete a successful installation. This license plate holder is for use on 2007-2015 JK Wranglers. This kit Includes: four nuts - item number 6036683AA; one bracket - item number 68064720AA; four hex screws - item number 6507238AA; and one lamp - item number 68064721AA (replaces item number 68003487AA).